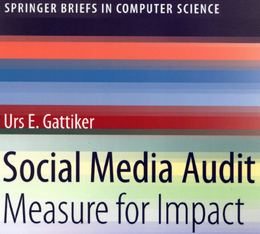 Everybody wants to measure performance of social media efforts – nevertheless, do these metrics make sense? Telling me that defining the right objectives for my blog sounds helpful. Even advice given regarding the need for measuring accomplishments against targets set is useful. However sometimes we compare apples with oranges and confuse matters more than we clarify them. We address this in more detail and outline what you should watch out for when working on increasing targeted traffic. A) The purpose of your blog pre-sets the choice and type of success measures that you must use. So is it just for pleasure, to push your own business and/or help your employer or maybe all of these? The more purposes a blog must satisfy, the more challenging it will be to reach performance targets. B) What are you trying to sell? Blogging about green technology such as solar collectors is one thing. Very different is the situation, where a real estate professional uses a blog to promote and grow her business. Finally, having a blog that makes money from advertising is a different story than one talking about the CEO being on a diet. approach to suit what they want is also important. Building a successful blog is a marathon with no shortcuts and having the traffic number is of little help if visitors are not those you want and need (e.g., customers and potential clients). In the above chart, we had this rectangle (shown to the left here) included as well. Today we want to talk a bit about these control, moderating and mediating variables (Please click on the link, Login as guest – click on the link again and voila free access – to explanations for non-geeks). Type of customer. You can target for younger customers but if your customers are interested in reading romance novels, they surely have different needs than those people interested in reading about financial regulation. As well, unless you reach the right age group, traffic may do little to clinch the sale. Mediating variables. In some countries, commenting on blog posts may be something of a tid for tad exercise. You post a comment on my blog, in return, I will write a comment on yours. I learned that this is quite common in India. Hence, when comparing ratios regarding conversation (i.e. relationship of comments with posts), comparing across blogs may require another control variable – country. In turn, this makes using the number of comments on a blog as a ratio or benchmark difficult, unless one uses country as a variable to control for this effect. Thereafter, data about commenting on a blog might be again a useful benchmark for you. Content. One can post quite frequently with short posts. In turn, this may allow the using of an easygoing style. In fact, language and reading benchmarking tools might reveal that 6 years of schooling is all it takes to comprehend what you are writing. However, a blog addressing statistics or engineering issues may have posts that require a higher level of language comprehension than just primary school. Hence, the level of complexity and difficulty of the material you write about will affect traffic. It could reduce volume but still give you the traffic you want in your niche. So better control for this possible effect. What Does this Mean for Your Social Media Benchmarks? 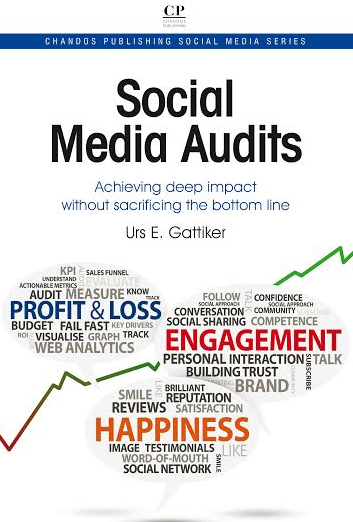 Effective benchmarking of social media efforts necessitates using control, moderating and mediating variables. Without controlling some of the effects we outlined above, results may be misleading. As importantly, changing your strategy based on such data may be the wrong decision to make. To illustrate, recently I got an e-mail from a corporate client where she pointed out that my documents contained too many hyperlinks for her liking. Typical answer from somebody who does not belong to the ‘Facebook generation’ I thought. Nevertheless, I responded to this need and removed some of the hyperlinks. By leaving a few ones in, I kept the Facebook generation happy as well. The response to this change from my corporate client was immediate and positive. So without addressing control, moderating and mediating variables when trying to benchmark your blog or webpage content, it becomes rather difficult to interpret data. Are the effects you might have (e.g., Sunday traffic spikes) due to your posting on Saturday or that most of your subscribers come from North America (where people often surf on weekends) or countries where people work on Sundays (e.g., Abu Dhabi). Less but More Desirable Traffic is BetterLess traffic but traffic from the targeted audience is far more important than winning the popularity contest. So make sure that some of your traffic comes from your primary market/country you sell in. Having too much traffic from some far away country where you sell neither a service nor a product makes the traffic statistics look great. Unfortunately, it does little if anything to make your cash register ring.Therefore, thinking about control, mediating and moderating variables will help you in learning more about your visitors, subscribers and clients needs when it comes to reading your blog’s offerings. A bigger traffic snowball is surely desirable. Search loves social media. This means that if you have quality content, people having searched for phrases may end up on your site. Nevertheless, once again check if the search phrases used by people that made them end up on your blog or webpage are those you are interested in. As a tax advisor a search phrase such as ‘tax ruling for married couples’ might be perfect but make you wonder if you are a solar engineering contractor. So next time somebody just talks to you about how much traffic they have – ask yourself or your friend if she has any data clarifying how this traffic and reading of her online content affects user outcomes (e.g., closing a sale, changing consumer behavior, increasing brand awareness, improving information security efforts and so on).